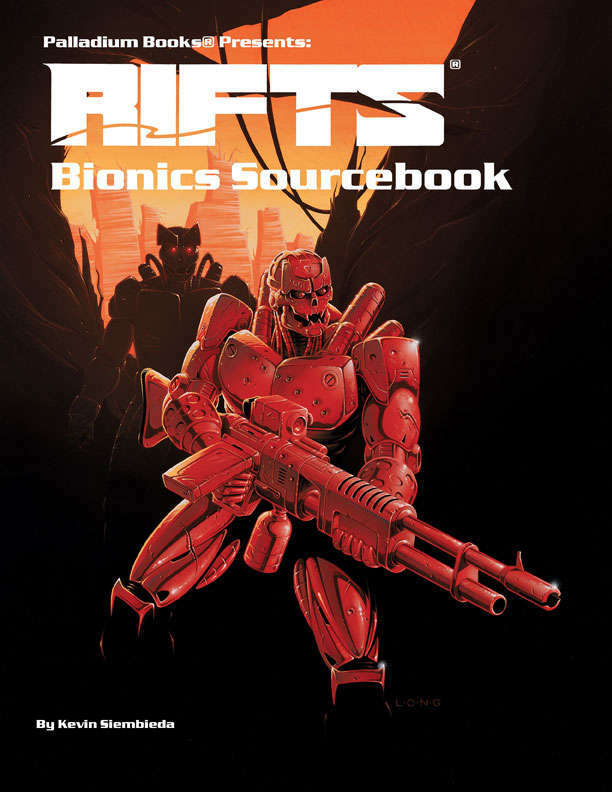 A compendium of bionic and cybernetic systems, with information about Partial and Full Conversion Cyborgs, Headhunters, City Rats, the Cyber-Doc and more. 7 different City Rat O.C.C.s and insight to life in the ‘Burbs. Cyber-Snatcher Villain O.C.C. dealing in “previously owned” bionics and cybernetics. Rules & info on repairing bionics. TW Bionics, cybernetics to inhibit magic, and more. Cyborg optional rules and tables, cyborg index and ideas. 112 pages by Kevin Siembieda. This is the BEST book on Bionics out there today. Its extensive in its coverage of the field. I love love love this book as an author, it helps me with new tech ideas in this techno area. Thanks SO much to Palladium and Kevin for this awesome book. Its compatible with nearly every system I have played over the years. Cheers!